Wooden fences won’t only add value to your property but will also increase security. No matter which fences you choose, they will keep your kids and pets protected. Fences increase privacy, act as barriers to the outside world (and neighbor), and are an exquisite detail in your landscape. No doubt why the American Dream involved having a suburban house with a front yard and a white picket fence. Not much has changed over the decades. 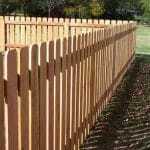 Everyone still needs the convenience and security wood fences bring. Are you new to the awning market? 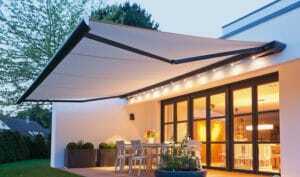 Do you need help choosing the right awning? If so, you’ve come to the right place. The goal of this article is to help inform you on the right awning for your home. Choosing the right awning isn’t just about looking at one and thinking, “I want that one!”.